The incident happened at the Kingswood red Luas line at around 11.55pm. 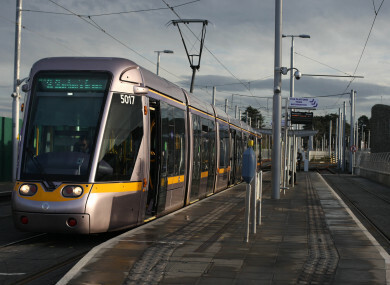 A MAN HAS died after being struck by a Luas near Tallaght in Dublin last night. An unidentified man was struck by the Luas line, according to gardaí. His body has been removed to the city morgue. Gardaí attended the scene. Investigations are ongoing. Services were suspended for a period of time between the Red Cow and Tallaght/Saggart as a result of the incident. Email “Pedestrian dies after being struck by Luas near Tallaght”. Feedback on “Pedestrian dies after being struck by Luas near Tallaght”.